If you were to ask me for my utopian vision for the future of the genealogy hobby, I would respond with something like this. 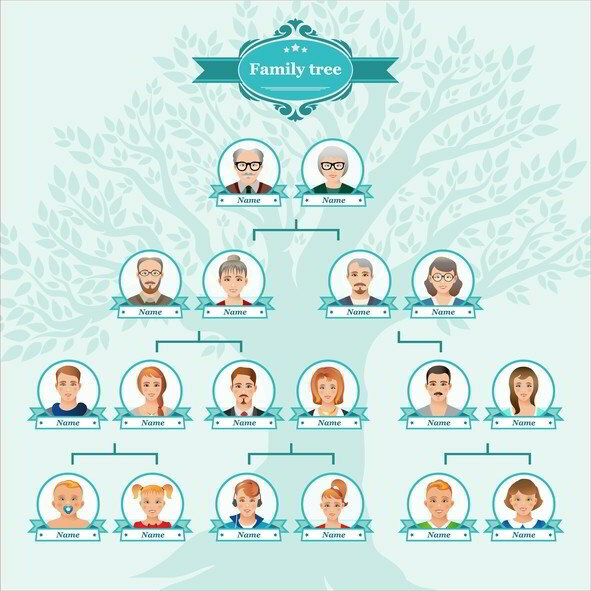 At the push of a button, anyone could download a fully populated family tree attached with digital images of every document, video and picture available extending back as many generations as the user desired. Although much progress has been made over the years, my vision remains nothing more than a pipe dream. Genealogy records have undergone a truly astounding digitization effort. Now, users have online access to billions of records, most commonly every federal census record up to 1940, passenger arrival records for major ports, naturalization records and some state and county records where state law does not specifically prohibit access. By design, records providing the biggest bang for the buck for the genealogist have been targeted first. The text record holdings of the National Archives consists of 9 billion pieces. Each piece needs to be scanned, cleaned and labeled. By 2007, the National Archives had achieved an annual rate of 500,000 completed scans per year. At that rate, they will need 1,800 years to complete the project! Needless to say, a massive amount of work is left to be done before anything resembling my utopian vision could be possible. If you believe the clever marketing in commercials airing constantly on television by Ancestry.com, you may get the impression that all you need to do is signup for their subscription service and follow the shaky leaves to trace your ancestors back in time. To a certain extent this is true as Ancestry.com boasts access to more than 16 billion records. For a genealogy hobbyist, a subscription to Ancestry may be enough for them to trace back a few generations using federal census records. Anything past this rudimentary research requires a lot more hard work to coax out records not in their collections. Unfortunately, real genealogy research is just not as easy as searching a single source’s collection. One problem lies in the sheer size of the universe of all records. Even though billions of records are now available online, there are literally trillions of records squirreled away in municipalities all across the country and the world. The totality of records now indexed and online just barely scratches the surface of what is available offline. The other problem is that there is no master index of what is available online. Instead, genealogy hobbyists are left working with a disparate array of data sources. For instance, one might have to check several of the major genealogy data sites including the likes of Ancestry.com, FamilySearch, MyHeritage, Fold3, FindMyPast, Mocavo, American Ancestors and GenealogyBank as well as hundreds of other smaller collections. Ancestor records are stored in paper form in the places where they lived. The vast majority of records must still be accessed the old fashioned way, in person or by mail, from the courthouses, churches and archives where they are stored. Real genealogy can’t be performed by sitting in front of a computer screen hundreds of miles from the locale where your ancestors lived. It is important for genealogy enthusiasts to have realistic expectations of what is possible with their research efforts. Yes, there is a myriad of free and subscription based records available online. Just don’t be tricked into thinking you can do robust family research relying solely on what is available online, at least not yet.